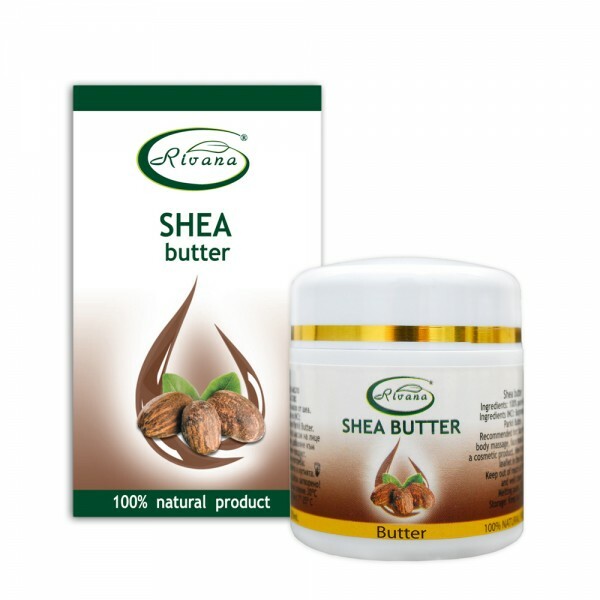 Shea butter-100% natural product - without preservatives. Home » Shea butter-100% natural product - without preservatives. Shea butter is extracted from the fruit of the African tree Butyrospermum Parkii. Has a melting point of 30 ° C. The oil is rich in vitamins A, E and F, which makes it a natural moisturizer. The butter protects the skin from the harmful sun rays, wind and dehydration. Shea butter protects and strengthens the skin, it has a deep moisturizing effect, regenerates the skin and stimulates collagen production, making the skin suppler, younger and more radiant. The oil protects the skin from winter’s cold and summer’s heat. It restores cracked lips and heels, lightens scars and stretch marks, removes the feeling of tension, after sun exposure and relieves muscle pain. One of the best oils to restore dry, damaged, torn hair. Apply directly to the skin of the face and body through massage movements. At temperatures below 34 ° C the oil is in a solid state, but upon contact with the skin it liquefies. For deep moisturizing and softening. Melt the shea butter in a water bath, add essential oils, depending on the type of massage that will be made. Apply all over the body through massage movements. The butter is rubbed into the hair roots and along the length of the hair. Place a plastic cap and a towel for 2 hours, then wash with warm water and a suitable shampoo.